Dr. Poornima Jayaprakash is a general dentist who has a special interest in cosmetic dentistry. She enjoys giving her patients the dazzling smile they’ve always dreamed of. Her professional philosophy is based in a team approach to dental care that includes the patient and her staff. Dr. Jayaprakash earned her Bachelor of Dental Science degree at Bangalore University in India. She continued her education in the United States receiving her Doctorate of Dental Surgery degree at the Marquette University School of Dentistry in 1989. During her academic training, she was recognized for scholastic achievement as a member of the dental honor society Omicron Kappa Upsilon, the Jesuit Honor Society and the Dean’s List. Dr. Jayaprakash completed a general practice residency at the Veterans Administration hospital in Milwaukee. 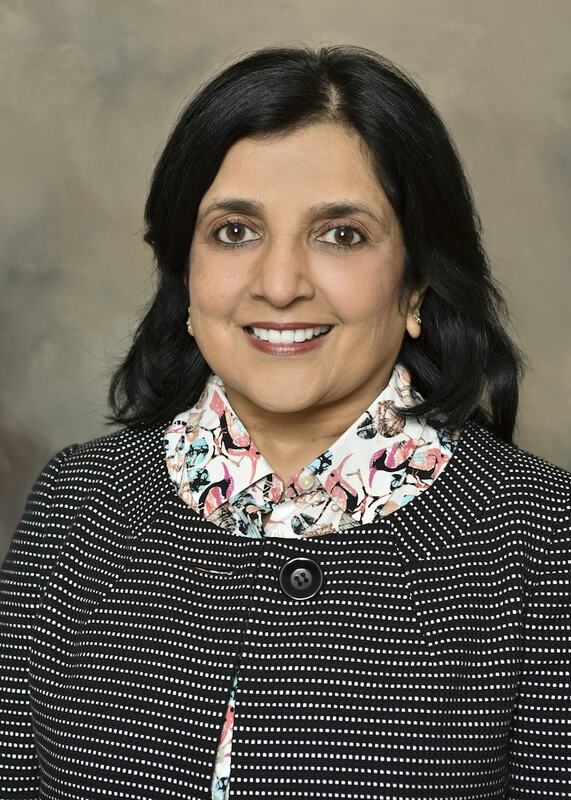 She remains active within the Marquette University system serving as an adjunct associate clinical instructor in the School of Dentistry. Dr. Jayaprakash is also very busy outside of her dental practice. She speaks several languages including English and Indian languages. She is a member of the Racine Health Care Network, and she enjoys tennis, personal fitness training and golf in her spare time. Dr. Jayaprakash is married to Dr. Subbanna Jayaprakash, M.D. who practices medicine in Racine. They have one son, Akhil.